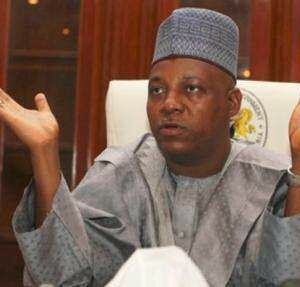 Governor of Borno state Kashim Shettima said there were very few happy moments since he assumed office three years ago. He said this on Sunday at the inauguration of 22 units of model housing for the people of Maffa, in the outskirts of Maiduguri, the capital of Borno. His remarks followed a bloody attack carried out on Saturday by the violent Islamic sect Boko Haram in the village of Izge in Gwoza Local Government Area of Borno. More than 100 people have been feared dead. Boko Haram has its base in Maiduguri. The sect is opposed to Western education and has an objective to Islamise Nigeria. Since 2009, they have launched many attacks at military and police facilities, churches, mosques, schools, markets and drinking joints in different parts of the north and Abuja. Thousands of people were killed and displaced. “One of the few moments of my inner joy … is our gathering here to formally launch the Borno State Stalk Houses Eradication Programme, which is an ambitious scheme that is targeted at gradually eliminating stalk houses in different parts of Borno State and replacing them with model houses, at no cost to the beneficiaries,” the governor said. “Today is one of the few moments of my life since I assumed the leadership of Borno State as governor in nearly three years that I could said to be truly happy. You all know the traumatic experiences we have been facing as a state since 2009, you will recall that in 2011, we took over administration and continued to manage the unfortunate insurgency that brought very tragic and unforgettable experiences to our beloved heritage, Borno,” he added. Governor Shettima also said the state government would construct 250 houses for 800 residents of Bulabulin Ngarnam in Maiduguri, who were displaced by the Boko Haram crisis. On January 5, President Goodluck Jonathan, said there would be no sleep until the war on terror in the north-eastern part of the country. Borno, Adamawa and Yobe state have been under emergency rule since May 2013.